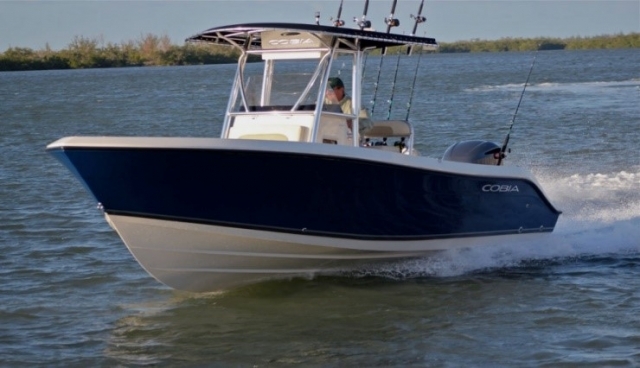 New for 2019 to the FBC fleet in New York is the Cobia 237 Center Console. A very capable inshore or offshore fishing boat, the 237 is a family friendly boat for a day of fun on the water. Bring the fishing poles, being the tube, and relax in comfort on the bow and stern seating. FBC members look great on the waters of Long Island and now they will look just a bit greater with this brand new boat. 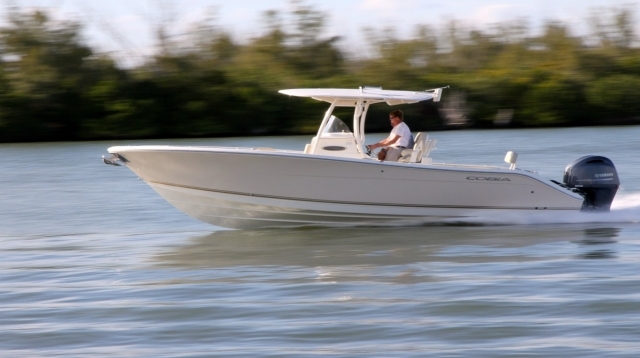 This Hurricane 2200 is sure to be a hit with boaters. With up to 10 passengers on board, this popular sized 22-foot SunDeck takes you to the edge of comfort and style, no matter how many decide to join in the fun. It has sharp forward entry, large bow flare and variable deadrise hull that makes it ride better than a lot of bigger boats. Or it could be the high sides and deep interior freeboard that make it feel so secure and safe even in outsized seas. Then there’s the fact that it has an insulated fishbox that drains overboard and undergunwale rod storage, features that other boats its size can’t claim. And what about the hidden rear seat with flip up backrest and battery storage underneath? Put it all together and the new 220 CC is the most feature rich and big water ready 22 footer out there. This Bennington Saltwater Series pontoon has fast become a member favorite and is perfect for hanging out in the bay or anchoring off the beach or for taking friends and family cruising around the back waters of the north shore. This Hurricane 217 is sure to be a hit with boaters. With up to 10 passengers on board, this popular sized 22-foot SunDeck takes you to the edge of comfort and style, no matter how many decide to join in the fun. This Cobia Dual Console is a great all around boat - you can fish like a pro with the livewell and electronics or you can take the family cruising and tubing. Or better yet, do it all because that's what this boat is designed to do. Our latest introduction to the expanding Family Sportsman series, the 239FS offers the largest cockpit in its class and loaded with features for both family comfort and serious fishing. 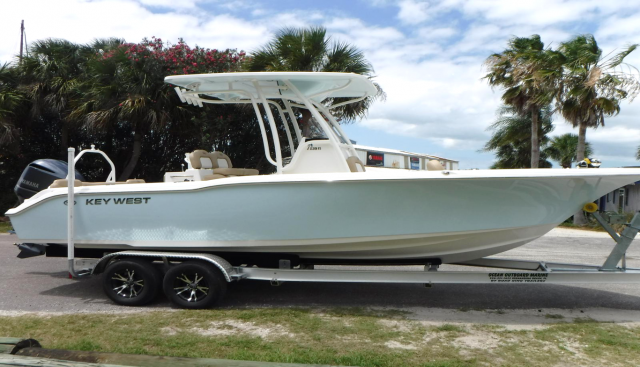 Enjoy the comfort of the full-width bench seat in the rear and the optional front facing seating in the bow for relaxing day on the water with the family and friends, or hit the blue water safe and secure in a very capable long range offshore fishing platform. Fishing features include the ever-present live well, rod storage racks, trolling rod holders, and even an insulated, macerated under floor fish box up front. 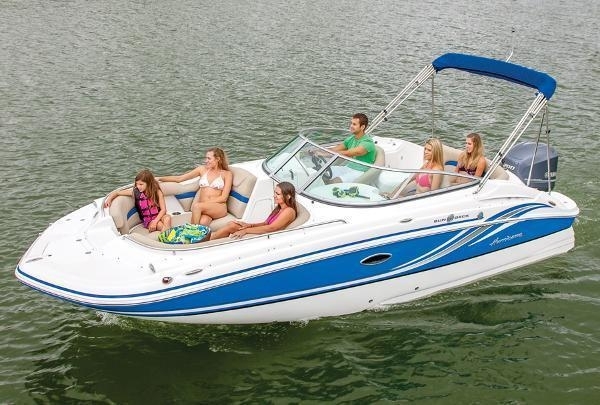 The 239FS is ready for whatever water sports your family enjoys. 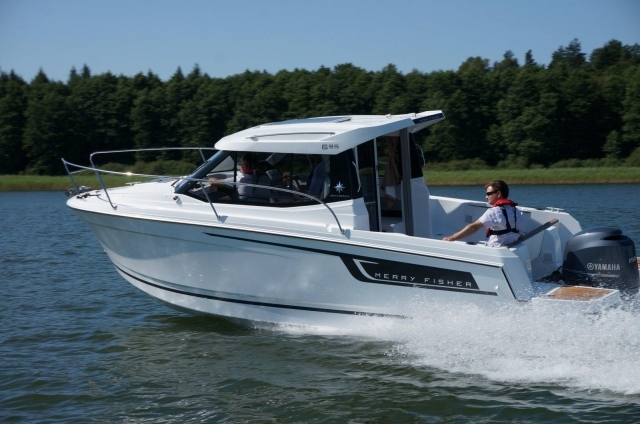 MERRYFISHER 695: a multi-use cruiser ideal for family outings. The Merry Fisher 695 is equipped with an inviting cockpit (with the engine raised). As for the cabin, featuring a clever layout for a model of this size, it comfortably accommodates 4 people. Good for cruising. Britannia is a premiere marina on Long Island, or anywhere else. 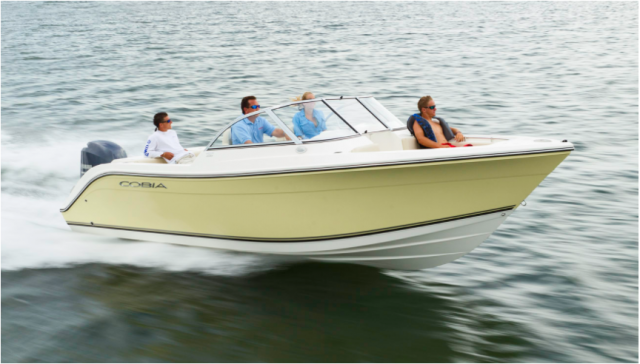 Freedom Boat Club members can truly enjoy the boating lifestyle at Britannia. With a swimming pool and an adjacent great bar and restaurant in Whales Tale (with great specials every day - my favorite it Taco Tuesdays! ), you can make the most of the day. A superb onsite bait and tackle store called Cow Harbor Bait & Tackle is ready to handle all of your fishing needs. Come and visit us - the boat is waiting!